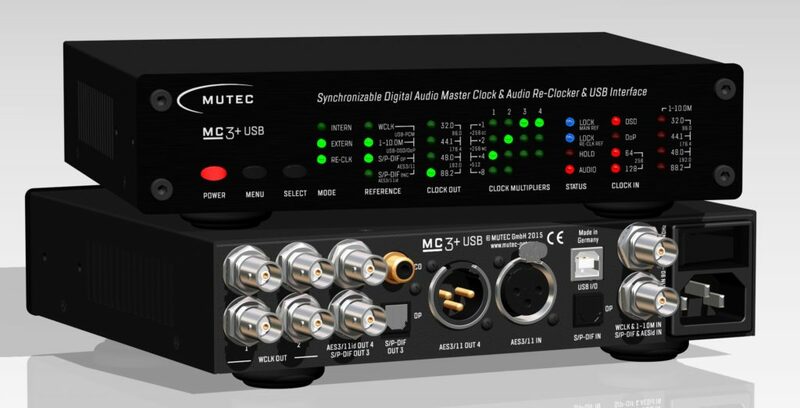 TransAudio Group’s clients will be interested in the MUTEC MC-3+ Smart Clock USB, which acts as an ultra-low jitter 1536 kHz word clock generator/distributor using MUTEC’s proprietary 1G-Clock technology. It can also act as an audio re-clocker to enhance incoming signal playback and offers interconnection between all manner of digital audio connectors and protocols. The USB connection features a galvanically isolated, audiophile-grade, asynchronous USB interface supporting high-resolution digital formats. The MC-3+USB offers a “Swiss army knife” all-in-one solution to provide workflow convenience and enhanced performance to digital audio systems. 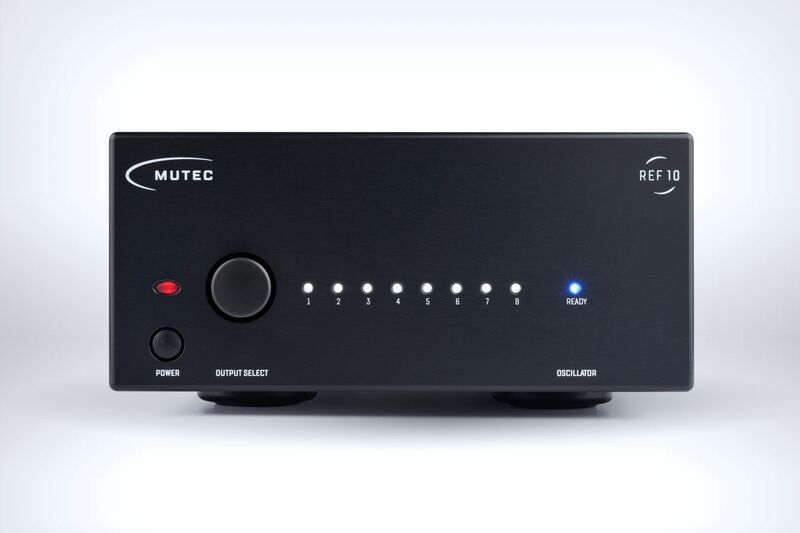 Another premier MUTEC product, the REF 10, is a 10 MHz reference master clock with eight 10 MHz outputs built around MUTEC’s handcrafted, ultra-low phase noise OCXO oven-controlled oscillator. The unique oscillator, coupled with no-compromise hardware, results in levels of noise and jitter lower than most of its competitors. The REF 10’s industry leading performance is a source of great pride for the engineering team at MUTEC. The MC-3+ Smart Clock USB can also be enhanced connecting the REF 10 on the 10 MHz clock input. 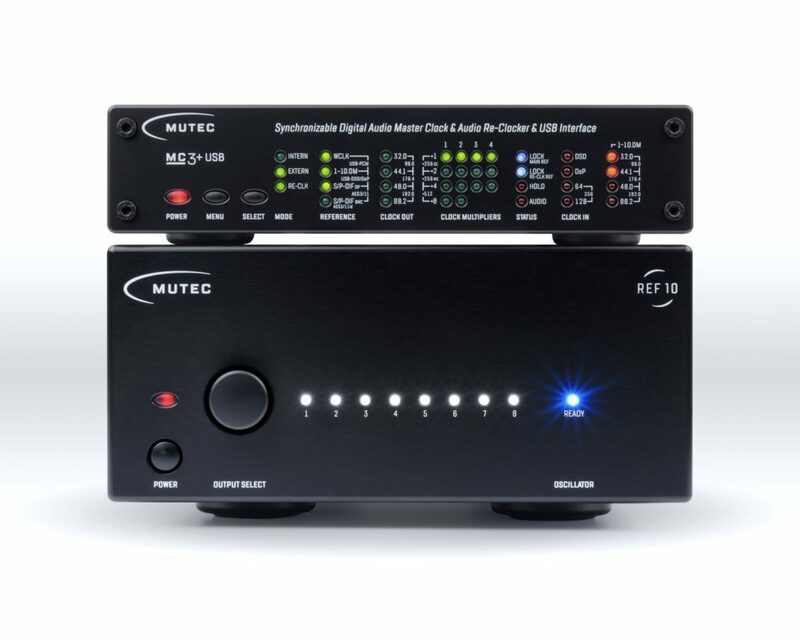 MUTEC products are now available.